With summer right around the corner, one of the things many people are doing is making sure they look their summer best! Whether it is getting your beach body ready or getting their hair done in time for the backyard barbecue, many people want to make sure they are in tip top shape in order to fully enjoy their summer vacation! One thing that may not get as much attention is your smile. There is no doubt you will be meeting and reconnecting with tons of people this summer, and your smile is the first thing they are going to see. If you want to make sure you have a seamless, flawless smile, Drs. Robert and Chris Long are able to give that to their patients by offering tooth-colored fillings. There are many reasons why people choose tooth-colored fillings. The most popular reason is that people get tooth-colored fillings is because they want to avoid the look of having a mouth full of metal. Many people want a more natural look when it comes to their dental work, and tooth-colored fillings are able to provide that look. The important aspect about fillings is the fact that it saves your tooth. 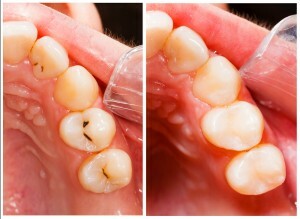 When there is a cavity or a serious infection, we remove the decay and fill the space with your desired filling. If not treated in the proper amount of time, the problem can worsen, even leading toward bone loss. One of the benefits of having tooth-colored fillings is that it gives you back your confidence. If you aren’t confident in your smile, it can completely alter the way you interact with people and yourself. There is no doubt our experience team is able to restore your confidence and bring your smile to the next level. If you’re interested in tooth-colored fillings, contact our office and will be happy to help you create the perfect smile you have always wanted, just in time for summer!